Christmas just isn’t Christmas without bon bons, the smell of a real pine tree and singing along to snowy carols, despite the fact that you’re in Melbourne and its 30 degrees Celsius. And another thing you need to really do the season right is a trip to The Nutcracker. 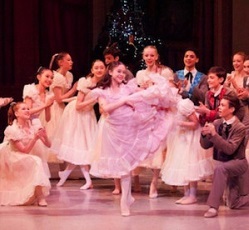 The Australian Ballet School recently performed their popular rendition, Nutcracker: The Gift of a Dream. 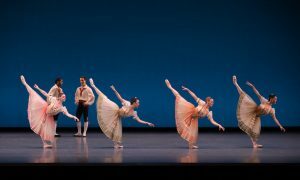 Choreographed by Leigh Rowles, the ballet follows the traditional framework of the much loved story, though Rowles chose to “veer from the unexpected” wherever possible. One notable difference from the standard version – and indeed a highlight – was the replacement of the menacing rats with the Mousettes. Big-bellied and lovable, they were an obvious favourite with all the children in the audience. The fabulous costumes, courtesy of The Australian Ballet, were fun and bright, enhancing the frolicking movements of the Mousettes. 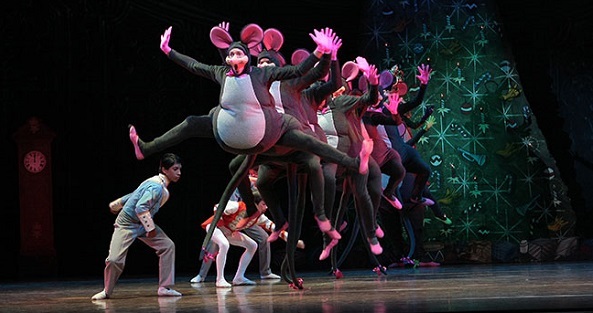 The Mouse Queen (Tene Ward/Dominic Possingham) – towering over the other mice – was particularly breathtaking. The lead roles of Clara (Sophie Morgan) and the Nutcracker Prince (Callum Linnane) and their younger counterparts (Mathilda Ballantyne and Paolo Cini) were danced with the kind of confidence and exactitude that made me forget I was watching a school performance. Also a standout performer, David Power as the mysterious Godfather Drosselmeyer was strong and precise, with a relaxed air that made him a precision to watch. If this is the future of ballet in Australia, we are in good hands. 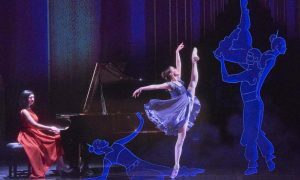 The Australian Ballet School’s ‘Nutcracker’. Photo by Sergey Konstantinov. In Act 1, the audience was treated to guest appearances by the fabulous Simon Dow and Lynette Willis (Mr. and Mrs. Stahlbaum) as well as party guests Sergey Konstantinov, Irina Konstantinova, Christina Howard, Christine Vavladellis and Slava Zalomski. Another highlight for me came in Act 2, in the Arabian dance – depicted in this version by a cobra (Sally Kaack) and her snake charmer (Mason Lovegrove). Kaack in particular was exquisite; lythe, sensuous and calm. The ever-popular Russian Trepak was exciting and bold, performed with flair by Jordan Dwight, Xavier Pellin and Tyson Powell. Mei Ishibashi gave a sparkling performance as the Sugar Plum Fairy, alongside her gallant Cavalier, Shaun Andrews. Nutcracker: The Gift of a Dream was performed in the Playhouse at Arts Centre Melbourne – a perfect venue for children experiencing one of their first ‘real’ ballets. 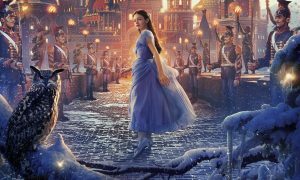 There’s a reason why this ballet has become such an important part of Christmas – maybe it’s Tchaikovsky’s incredible score, maybe it’s the magical storyline, maybe it’s the excitement and colour of the array of costumes and characters. Whatever it is, this version performed by our most prestigious ballet school was a joy to behold. Photo (top): The Australian Ballet School’s Nutcracker: The Gift of a Dream. Photo courtesy of The Australian Ballet School.